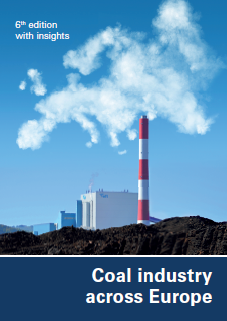 Does coal have a role in providing affordable and clean energy? 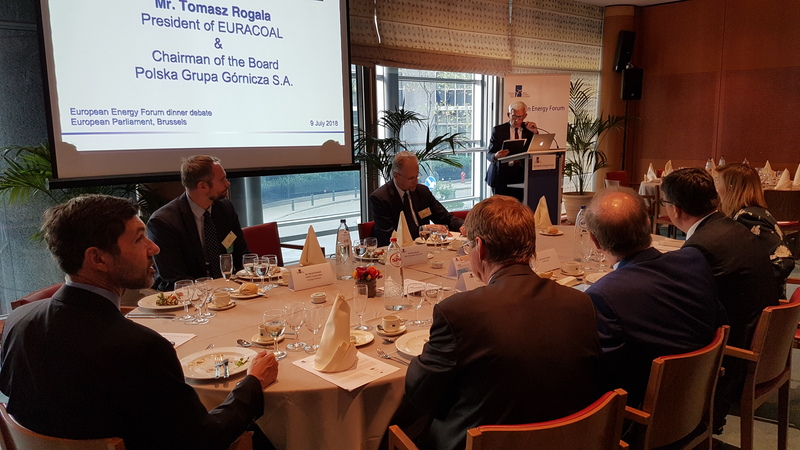 On Monday, 9 July 2018, the European Association for Coal and Lignite (EURACOAL) hosted a dinner debate in the European Parliament on affordable and clean energy, this being the UN Sustainable Development Goal No. 7. 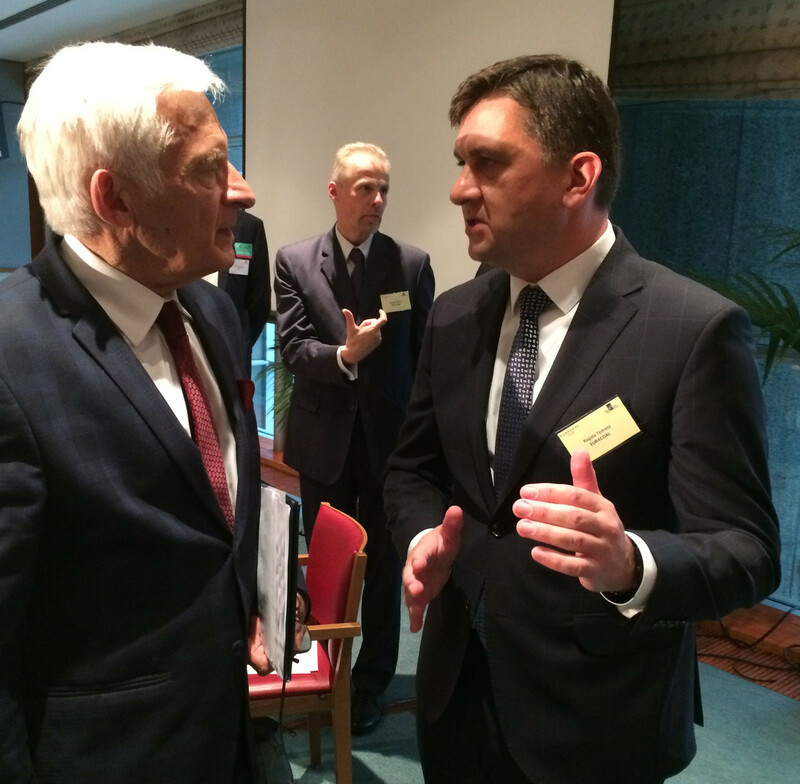 The event was organised by the European Energy Forum and chaired by Prof. Jerzy Buzek MEP. Mr. Tomasz Rogala, President of EURACOAL and Chairman of the Polish Mining Group (PGG – Polska Grupa Górnicza S.A.), Mr. Michał Drabik, Economic Affairs Officer in the Sustainable Energy Division at the United Nations Economic Commission for Europe (UNECE), Mr. Haitze Siemers, Head of Unit for “New energy technologies, innovation and clean coal” in DG Energy and Mr. Hervé Martin, Head of Unit for “Coal and steel” in DG Research and Innovation, discussed the role of coal in providing affordable and clean energy. All agreed that coal would continue to be an important source of energy around the world during the energy transition. 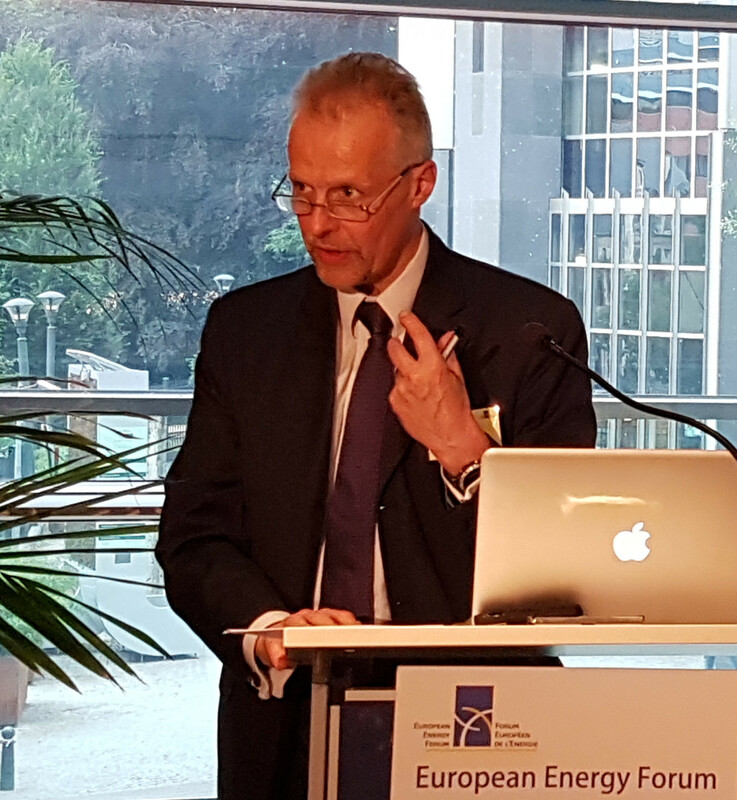 In his presentation, President Rogala pointed out that not all EU member states could afford the higher costs of the energy transition, especially those with access to affordable coal. Here, he stressed the need to continue working on clean coal technologies, as coal will continue to be needed in the European energy mix for some decades to come. Mr. Rogala called for more time for the transition to avoid a situation where we have closed the indigenous coal mining industry, transferred jobs outside of the European Union, but still retained the negative impacts on the climate with our use of imported coal. 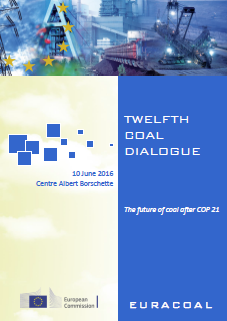 The EURACOAL President noted that to meet demand in 2017, the EU had imported 173 million tonnes of coal. In terms of lost jobs in coal mining, this is equivalent to around 700 thousand work places – workers who could earn €13 billion each year, he estimated. The imports meant a cash transfer of €13 billion outside of the EU and the elimination of 700 thousand jobs from the labour market, he reiterated. Some years ago, he recalled, EURACOAL had warned that a too-fast transition would simply transfer well-paid jobs outside of EU and this is what has happened. In his speech, President Rogala underlined, that electricity prices are higher in countries with the biggest shares of new renewables, countries like Germany or Denmark where rates are over 0.30 €/kWh. Prices are lower in countries with smaller share of renewables: 0.10 €/kWh in Bulgaria and 0.15 €/kWh in Czech Republic. He added that Eurostat data shows that 9% of EU citizens live in energy poverty – they cannot afford to pay their electricity bills. According to President Rogala, EU climate action is definitely too fast. Coal companies should, he suggested, be granted support for diversification during the transition. He warned, however, that change must be in line with the global situation, so as not to lose our economic competitiveness. Mr. Drabik from the UNECE in Geneva noted that fossil fuels will remain a major component of the future global energy mix, even under the most optimistic 2°C scenario for GHG emission reductions. He stressed that all seventeen Sustainable Development Goals (SDGs) are equal, meaning that SDG 7 on affordable and clean energy or SDG 13 on climate action are neither more nor less important than, for example, those on poverty (SDG 1) or hunger (SDG 2). They should all be considered together in an integrated approach, he said. At the same time, Mr. Drabik pointed to the fact that all SDGs depend on energy, as none of them can be attained without reliable access to it. 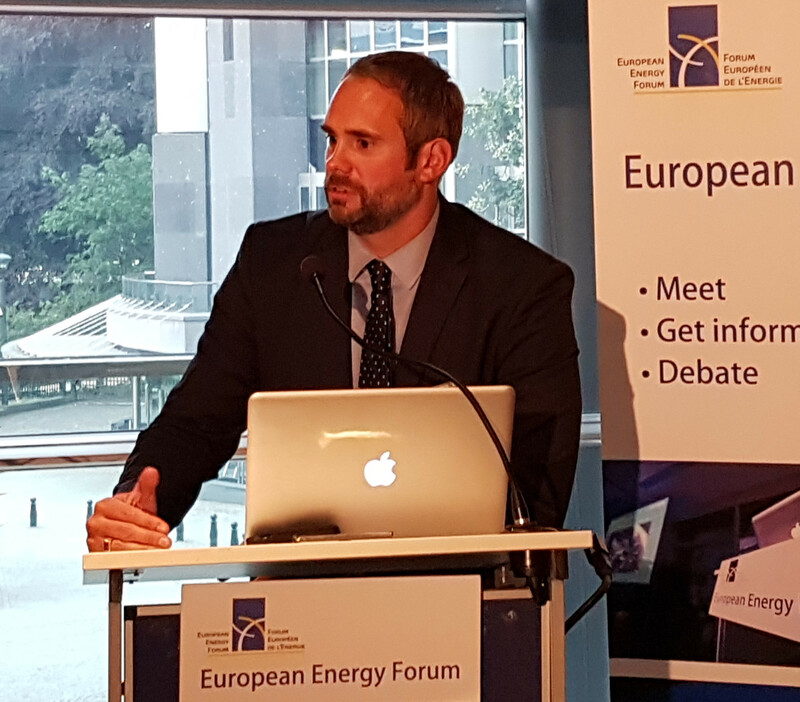 He recalled that energy efficiency gains are the key to reducing emissions, a point also made by MEP Jaromír Kohlíček, Vice Chair of the Committee on Industry, Research and Energy in the European Parliament. The problem of methane emissions from coal mining and natural gas sectors need to be addressed at each stage of the value chain, Mr. Drabik added. Furthermore, he underlined that efforts for emission reduction in the coal sector should not be focused only on the extraction and energy production phase, but on the whole coal life cycle, including mine planning, as well as a period after cessation of extracting activities. 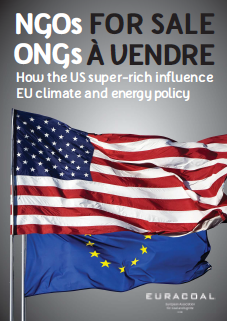 The UNECE is the unique UN institution that talks openly and frankly about the role of fossil fuels in the energy mix, preferring to leave aside emotions and lead a discussion based on facts. 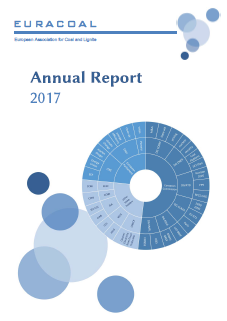 UNECE’s focus and imperative is on improving the environmental performance of the energy system, in particular fossil fuels. Mr. Drabik presented several UNECE projects and highlighted its International Centres of Excellence in China and Poland, inviting participants to support the UNECE’s work in these fields. Mr. Siemers from DG Energy underlined the role of innovation and competitiveness in energy-sector development. Using examples from China, with its long, ultra-HV transmission lines, and from Japan, with its plan to develop a hydrogen economy by 2035, he highlighted energy innovation at the international level. He praised Europe’s leading role in securing the Paris Agreement and wanted to see this success repeated with innovative R&D projects in the EU during the energy transition, noting the many interesting possibilities with carbon capture and use to create not only carbon-free power generation, but also to build a circular economy. Mr. Martin, responsible for the Research Fund for Coal and Steel (RFCS) in DG Research and Innovation, highlighted a new RFCS Accompanying Measures project on a strategic research agenda for clean coal technologies, as well as the European Commission’s Coal Regions in Transition Platform with its working group on “Eco-Innovation and Advanced Coal Technologies” taking place on 12/13 July. He concluded that Europe’s future competitiveness requires an industrial base with many products, such as wind turbines which themselves require steel and therefore coal, but cleaner coal in the future. 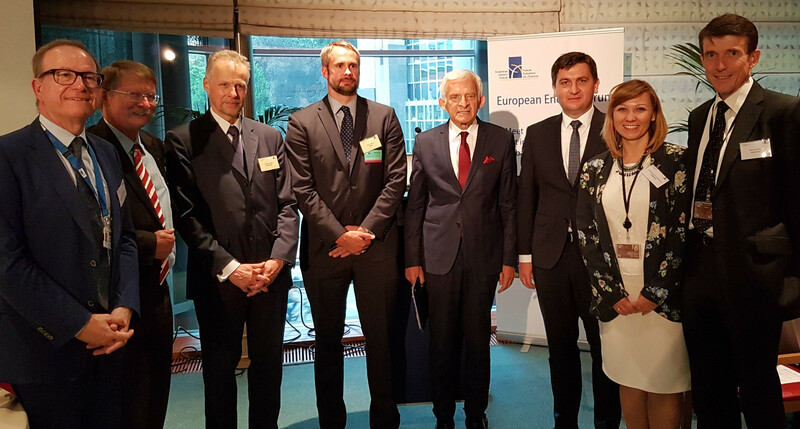 The event was attended by around fifty guests, including Members of the European Parliament, officials from the United Nations and the European Commission, EURACOAL members and representatives of energy companies and trade associations. European Energy Forum debates are held under the Chatham House rule.